The MS Midnatsol (Midnight Sun) is dedicated to the wonders of Arctic summer. MS Midnatsol has a strong environmental profile and modern design. The interior’s bright, colorful décor is inspired by Norway´s sunny warm days of summer, a motif reflected in many of the pieces of Norwegian modern art on board. 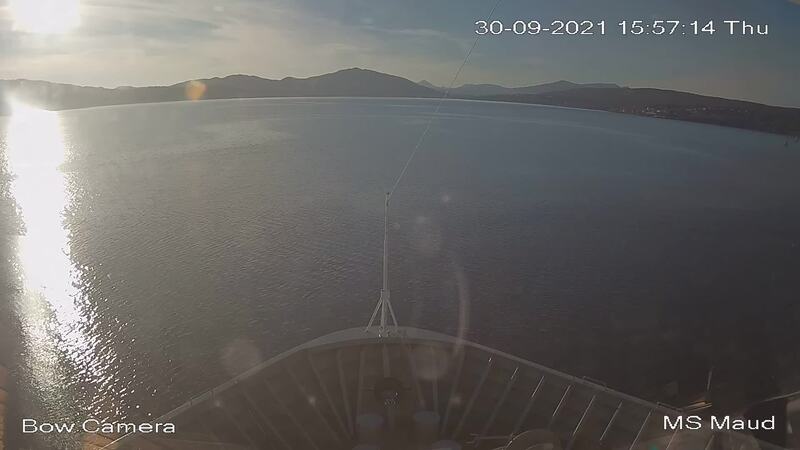 The ship is also a TV star, having been featured in the award-winning Norwegian television documentary, “Hurtigruten 365.” The vessel´s sun deck and hot tub are on deck 9. Key features on MS Midnatsol include the large, two-story panorama lounge over the bow, with wall-to-wall windows that bathe the room in natural light and provide extraordinary views. MS Midnatsol is an ice class 1X ship, equipped with advanced technology that makes her exceptionally well suited for expedition cruises in Antarctica. The ship started taking explorers on adventures to Patagonia and Antarctica in 2016. Interesting lectures, presentations and activities inside the ship as well as out on the sun deck make this an exciting and educational journey. Topics depend on the season and waters we sail in. The Expedition Team hosts a lecture and presentations program and evening gatherings daily. Out on deck you may participate in live points of interest to learn more about the nature, culture and other phenomena we encounter along the coast. In addition, the Expedition Team will introduce you to the uniquely Norwegian notion of “friluftsliv,” and encourages you take part in various “friluftsliv” hikes and activities during the cruise. Our Expedition suites are the most luxurious cabins on board. Situated on the upper deck of the ship, the suites feature seating areas with TV, bathrooms with shower/WC, and most with double beds. Some suites have more facilities than others. Located on deck 6, 7 and 8. These exclusive suites are situated on the upper decks. The suites have two rooms, a seating area and dining table, TV, kettle, tea/coffee, stereo, internet access, bathroom, minibar and private balcony. Travel the best way possible! These exclusive suites have a seating area, TV, kettle, tea/coffee, stereo, internet access, bathroom and minibar. Some of the suites also have bathtubs, and a private balcony or bay window. These elegant suites are on the upper deck with a seating area, bathroom, TV and minibar. Some have a private balcony. These comfortable suites on the middle or upper decks have double beds and most have sofa groups as well. The suites also have a TV, internet access, a bathroom, minibar, and a great view. Relaxation and comfort are the hallmarks of our Arctic superior cabins. Situated on both the upper and middle decks, the cabins have bathrooms with shower and WC. They are also equipped with tea and coffee-making facilities. Most have separate beds, one of which doubles as a sofa, and some have double beds. All the cabins have individual specifications. Most of these large, comfortable cabins with single beds on the middle or upper decks have sofa groups. They all have a private bathroom, TV and minibar. The cabins have limited or no view. These comfortable outside cabins for up to two people on the top/upper decks have a private bathroom and double or separate beds, one of which doubles as a sofa. These comfortable, outside cabins for up to two people on the middle deck have a private bathroom and separate beds, one of which doubles as a sofa. Our cozy Polar inside cabins are on all decks. All the cabins have bathrooms with shower/WC. Most of the cabins have separate beds, with one doubling as a sofa. Others are equipped with upper and lower berths. All the cabins have individual specifications. These comfortable, standard inside cabins for up to two people on the middle or upper decks have separate beds, one of which converts into a sofa. All cabins have private bathrooms. Our Polar outside cabins are situated mostly on the middle or lower decks and all have bathrooms with shower/WC. They have separate beds, one of which doubles as a sofa, or upper and lower berths. All the cabins have individual specifications. These standard outside cabins for two people on the middle decks have separate beds and private bathrooms. These standard outside cabins on the middle and upper decks have separate beds and private bathrooms. These comfortable outside cabins for up to two people on the lower deck have private bathrooms and separate beds, one of which converts into a sofa. The cabins have portholes, some with limited or no view. These comfortable outside cabins for up to two people on the upper deck have private bathrooms and separate beds, one of which converts into a sofa. The cabins have limited or no view. On this amazing adventure you will experience South America, Patagonia, the Falkland Islands, and Antarctica. See penguins, seals, and whales, and take hikes on the frozen continent and kayak among icebergs. And on board, you can take advantage of our Activity Center for exciting lectures and workshops designed to enhance your trip.